As your parents or relatives get older, it can be difficult to determine the best course of care. One key to developing a plan of action is to include your parents or relatives in the discussion about what type of support they need. Though many are open to this discussion, it’s not uncommon to face some resistance. Many people are concerned about sacrificing their independence or having their children involved in the private details of their lives like health and financial issues. After a long life of independent living, it can be challenging to talk to loved ones about their health and their ability to manage taking care of themselves. Some experts believe that though a parent or relative may be initially hesitant about discussing these issues and accepting help and support, it is more often fear and guilt that drive that resistance. The fear may arise from a reluctance to change from a certain lifestyle. Guilt over becoming an unnecessary burden on family members can also be a contributing factor. 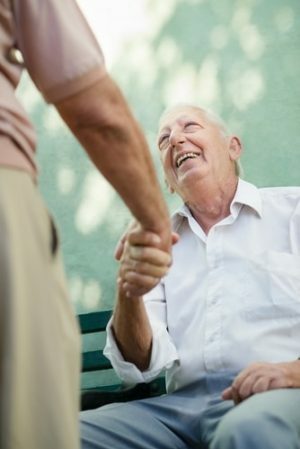 One option to ensure that your parents or relatives get the care and support they need is to partner with a personal health advisor who can support you and your parents when faced with the challenges of aging. A health advisor can attend doctor’s appointments with them, make sure all they doctors they see have access to their complete medical record, arrange appointments and second opinions, and help them find doctors. With a dedicated specialist looking after all of their medical needs, you have peace of mind and they have the resources and support they need to lead their healthiest lives.